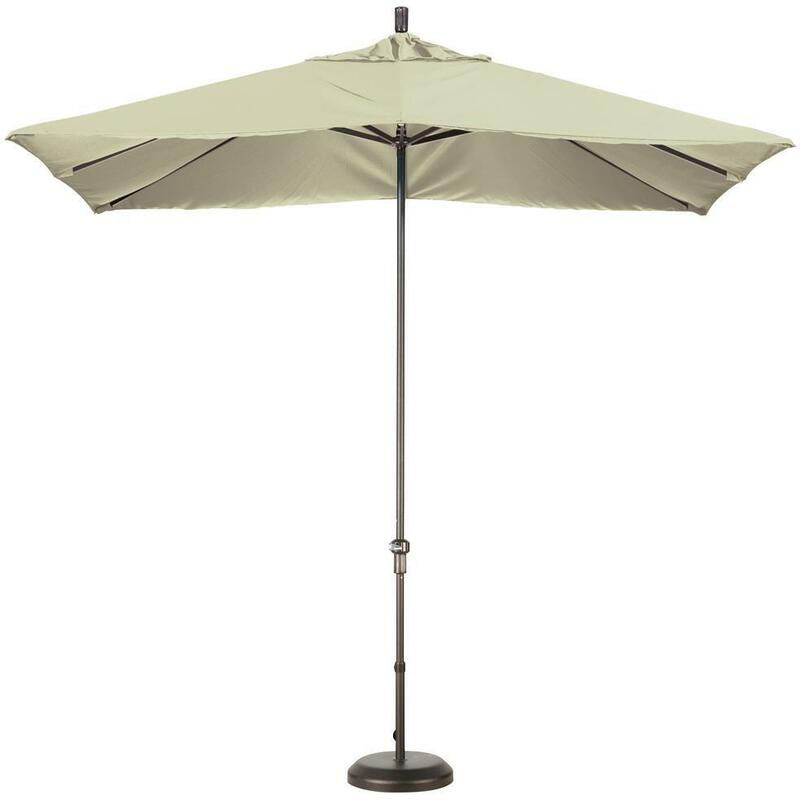 Product Description: 9 Ft Aluminum Patio Umbrella - Yellow. 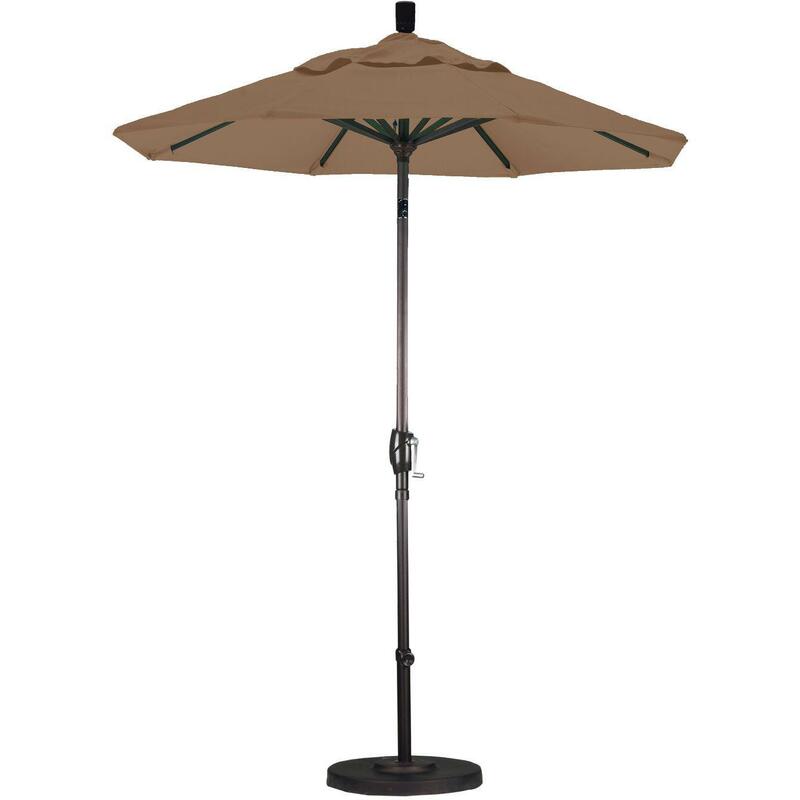 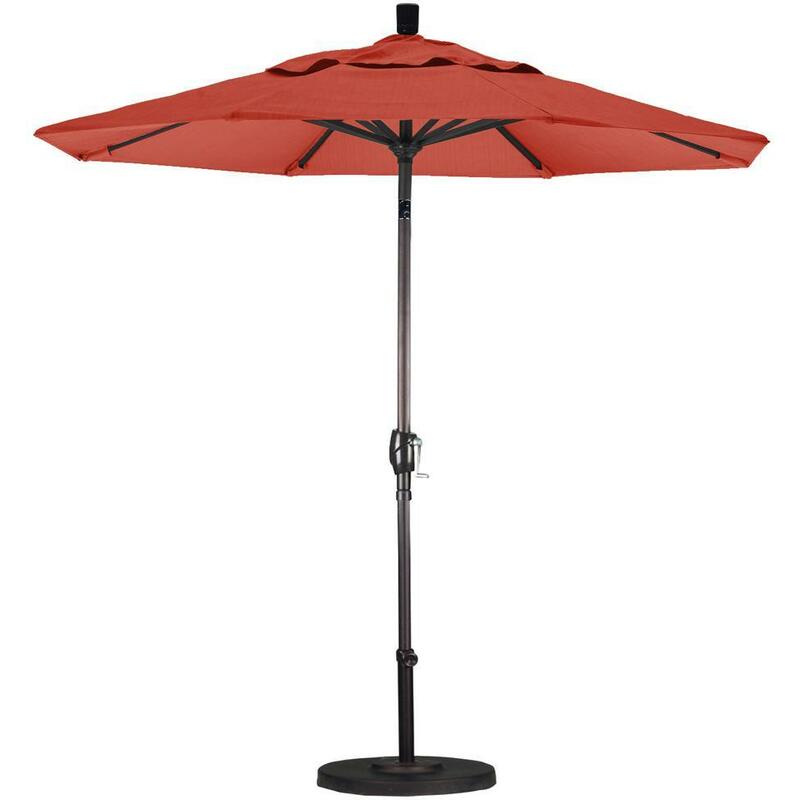 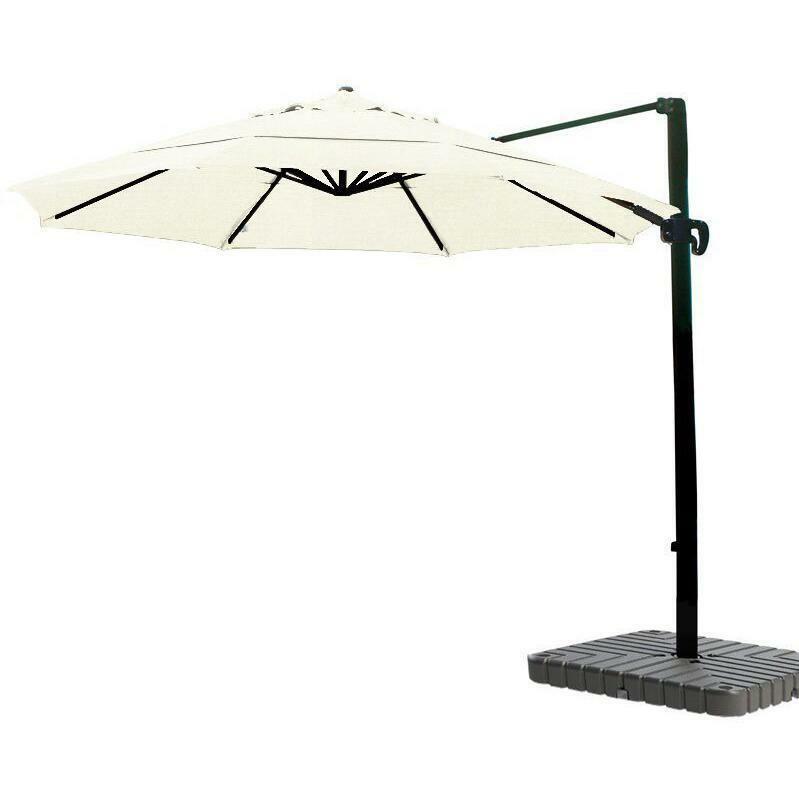 Enjoy comfortable and convenient refuge from the bright rays of the sun with this stylish 9-foot market umbrella from California Umbrella. 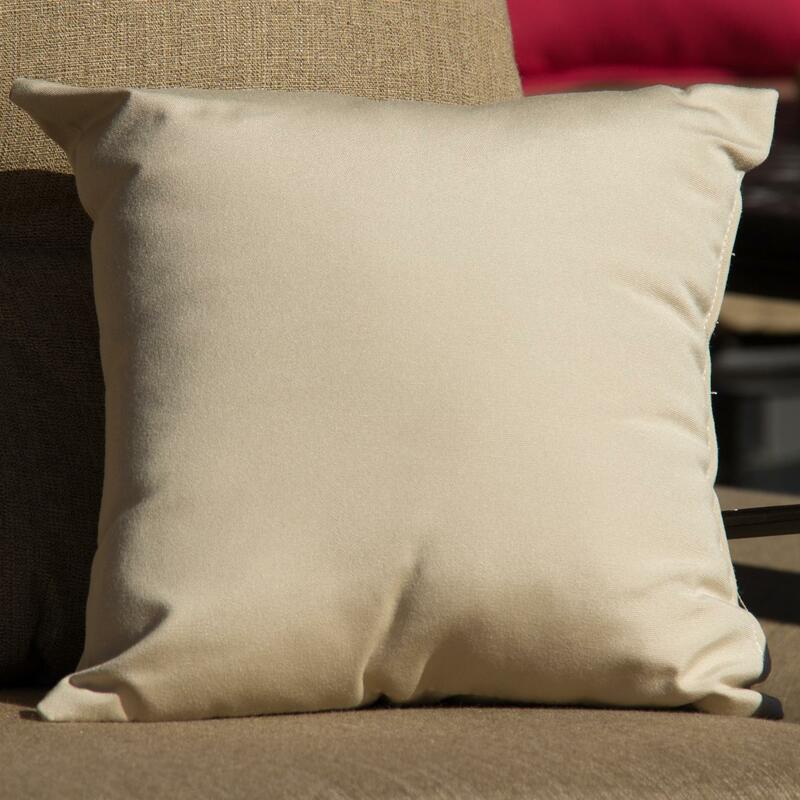 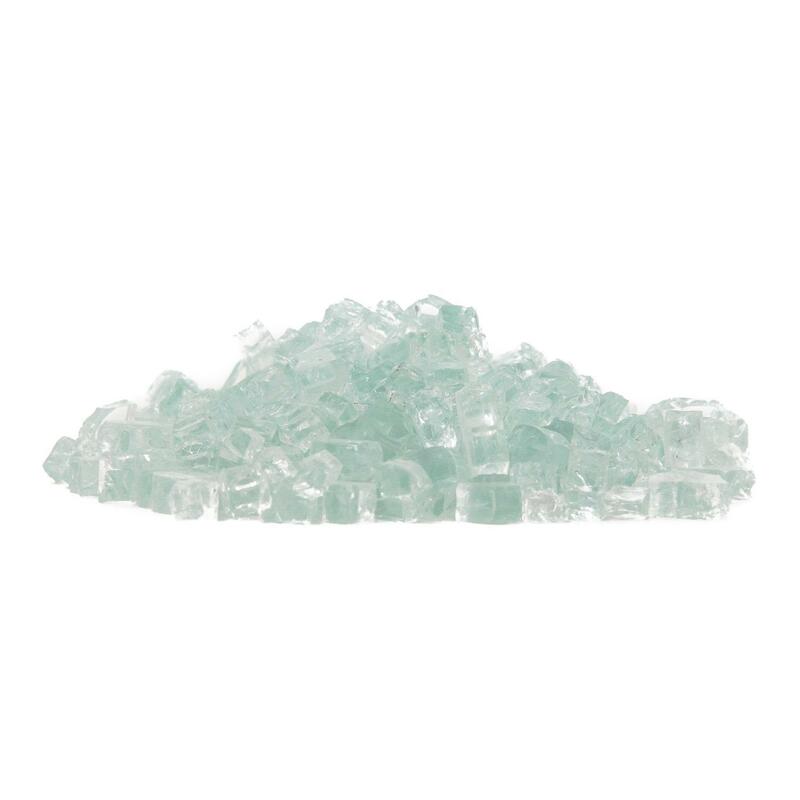 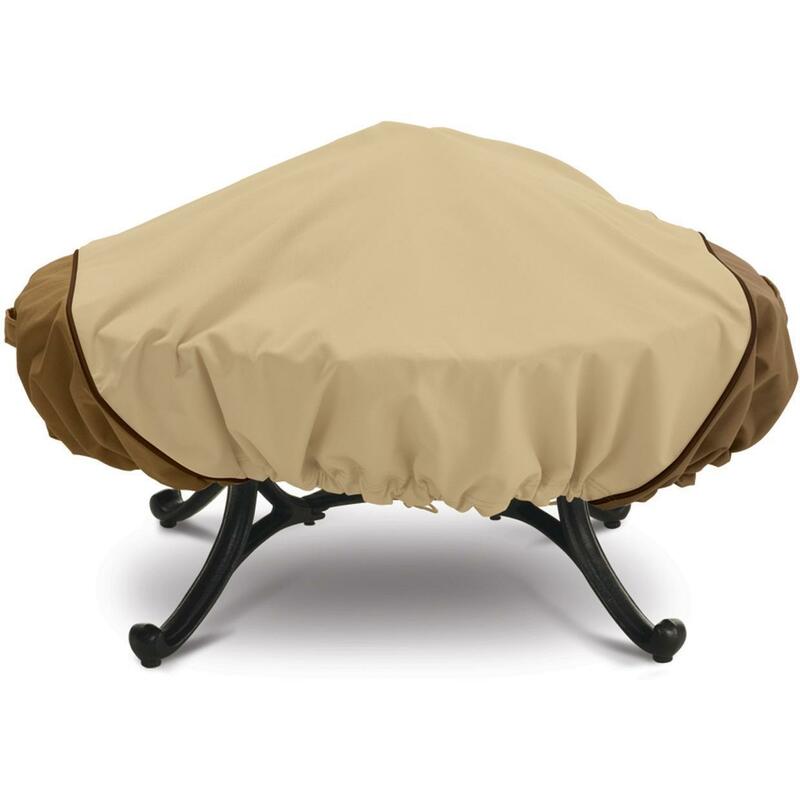 Sturdy aluminum pole in champagne finish and resilient aluminum ribs support a beautiful hexagonal canopy made from polyester with rich, vibrant color that is highly resistant to outdoor conditions. 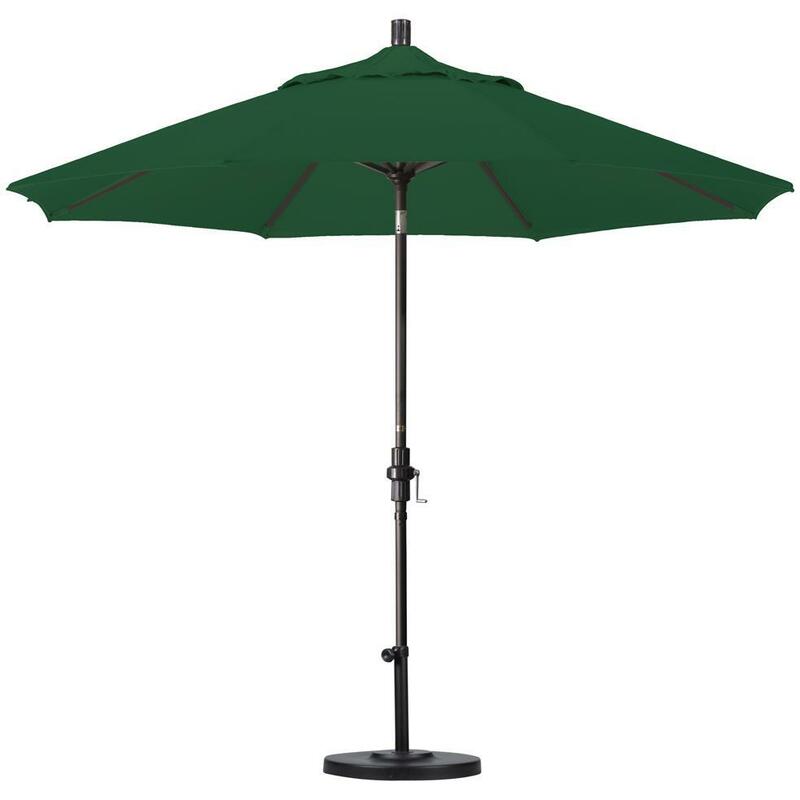 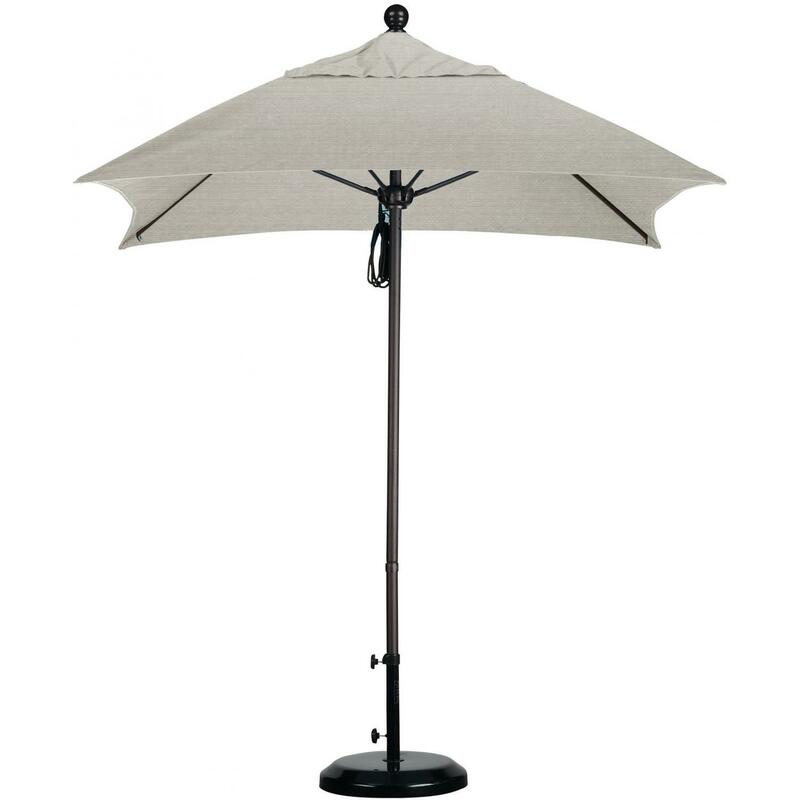 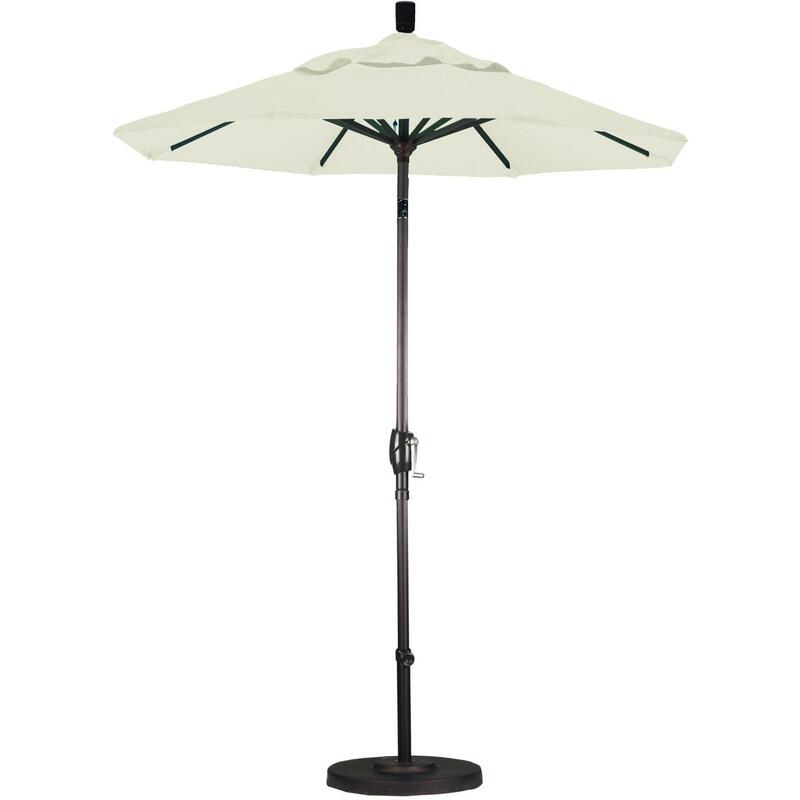 A deluxe crank lift system makes opening and closing this market umbrella simple and easy while push button tilt lets you quickly adjust for the best shade solution any time of the day. 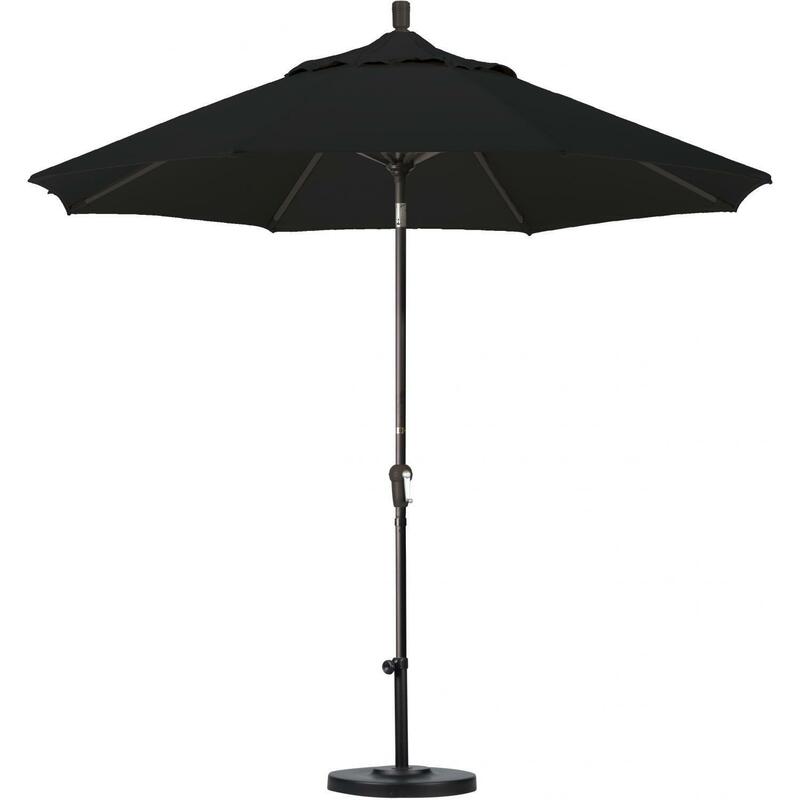 Add a compatible base designed perfectly for your new California Umbrella and beat the outdoor heat this year in style.